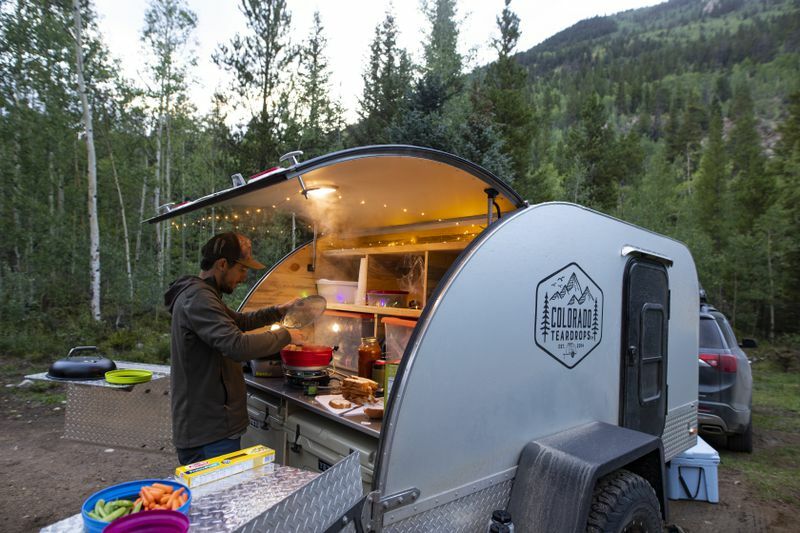 There’s a lot to love about the teardrop trailer. 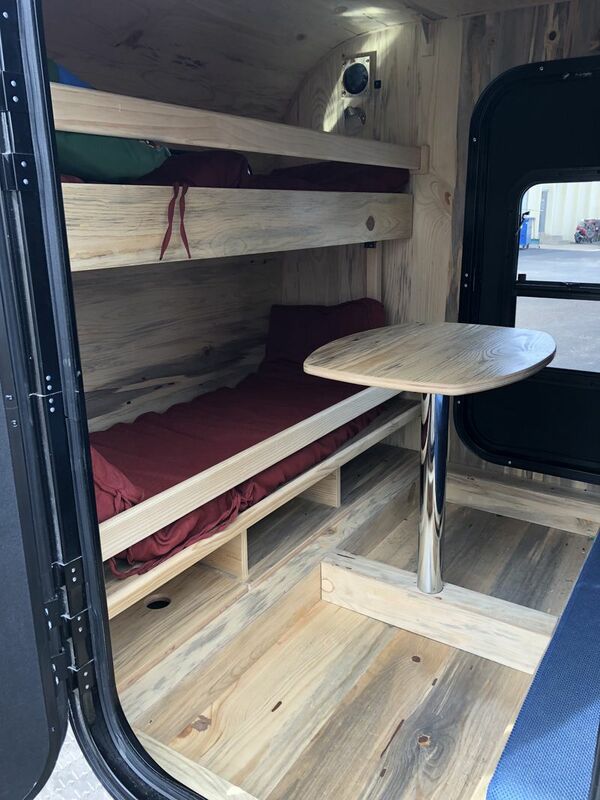 Even the tiniest of teardrops usually feature swooping classic lines, compact and functional design, and a reasonable price tag that looks downright affordable compared to other campers. Love campers and trailers? Come join our community group. We’ve written about some of our favorite teardrops in the past, but the latest to cross our desk is Colorado Teardrops. 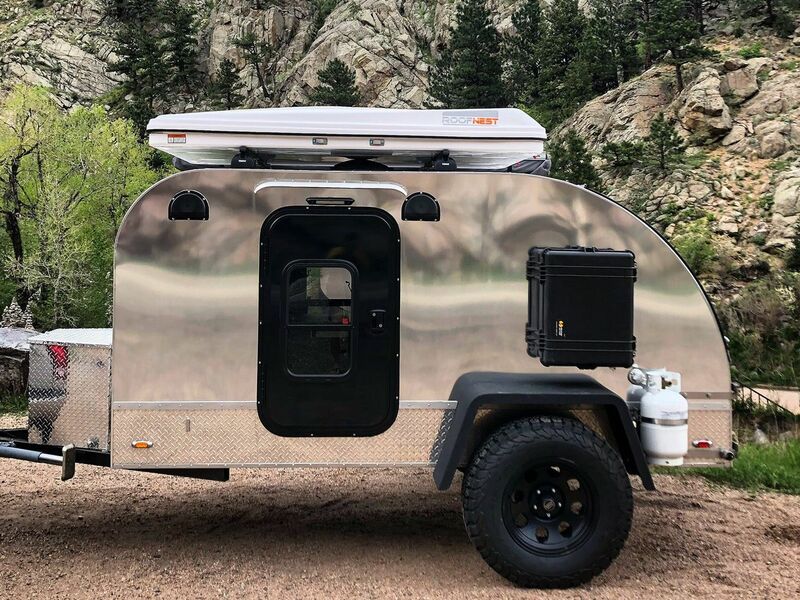 Based in Boulder and founded in 2014, Colorado Teardrops currently builds four different models of trailers designed to get you camping quickly. If teardrop trailers have any drawbacks, it’s that it can be hard to sleep a family. Most teardrops sleep two adults in the main cabin, although some add a rooftop tent in order to sleep a few more. But what’s a family with two small kiddos to do? Enter the Summit. The Colorado Teardrop Summit model is 5 feet by 10.5 feet and boasts a dry weight of about 1630 pounds. 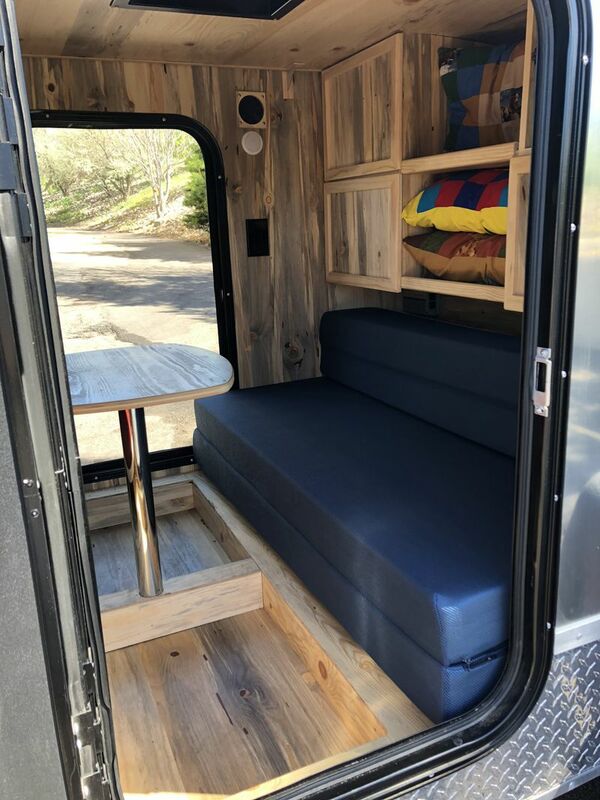 The fully insulated trailer features an anodized aluminum exterior and light maple plywood on the interior for a woodsy, cozy feel. 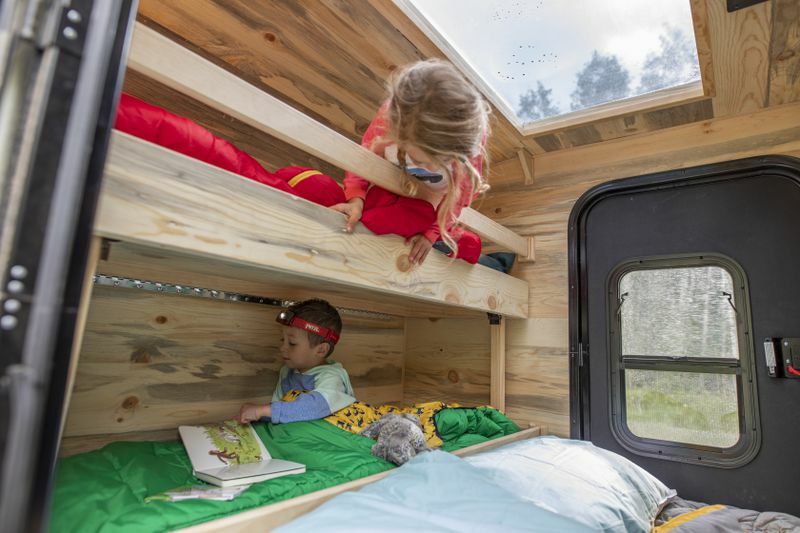 But the coolest thing about the Summit is the sleeping set up: The trailer cabin includes bunk beds for two children and a sofa that transforms into a queen-size bed for two adults. The bunk beds sleep two children and still leave room for two adults in a queen-size bed. When not in sleep mode, the cabin can be used for work or dining thanks to a removable table. 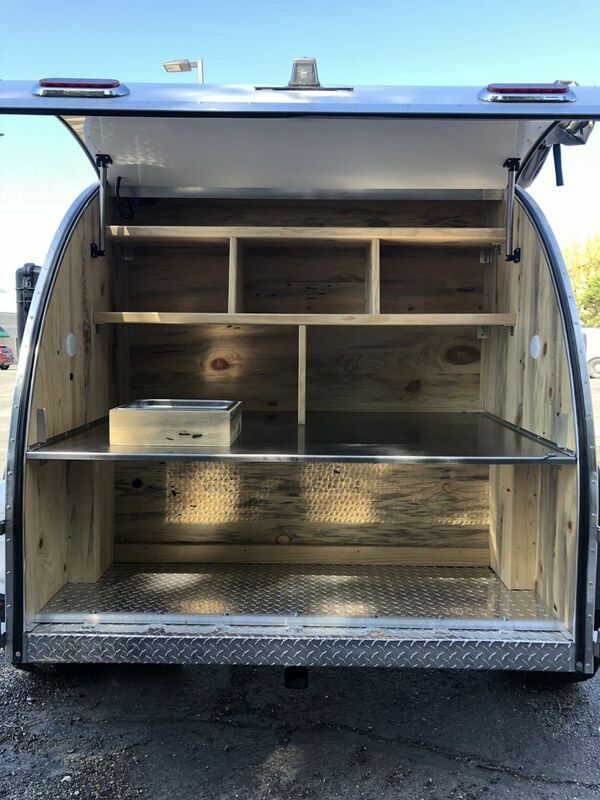 There’s also storage shelves, two reading lights, a center cabin light, a large skylight, and a pop-up vent to help circulate airflow. Like most teardrops, the kitchen is accessed from the rear of the trailer. The Summit’s galley is spacious with a deep countertop over dividers for an ice cooler, water tank, and shelves for the camp stove. Three large areas behind the counter offer space to hold food and supplies thanks to bungee cord netting, and the entire kitchen is illuminated by two lights. And while these are the standard features of the Summit, all of Colorado Teardrop’s trailers can be customized with different trim options and colors to best suit your needs. Cooking in the outdoors is made easy thanks to a spacious galley kitchen. We love the family-friendly design of the Summit, but the trailer can also handle burly off-road trails thanks to 18 inches worth of clearance, suspension rated to 2,200 pounds, and 35-inch BF Goodrich Radial TA off-road tires. 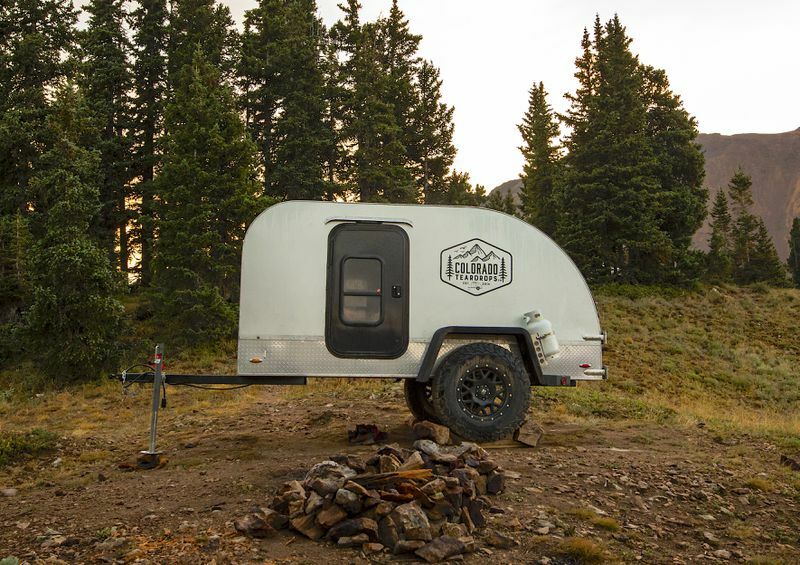 The base price of the Summit teardrop is $21,500, and additional upgrades include a power or solar package, cargo racks, water tank, and custom exterior colors. Head over here for more. Interested in campers and RVs? Our archives are full of amazing rigs, from this Sportsmobile camper van that can sleep a family of six to a vintage midcentury dream home on wheels. And don’t miss our guides to the best camper vans, lightweight trailers, and DIY camper kits you can buy right now.